Tuesday April 9, 2019 – British Airways has, for the first time today, brought together its four heritage liveried aircraft which were repainted to mark the airline’s centenary this year, alongside an A319 in the current Chatham Dockyard livery, to capture a rare image of some of the airline’s most iconic designs together. 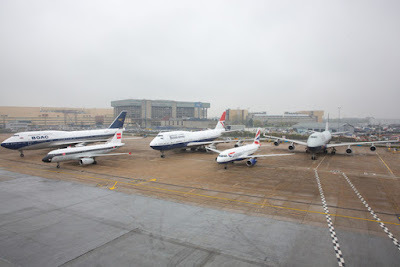 To capture the photo, the four heritage aircraft, which were in scheduled downtime and parked at the airline’s engineering base, were lined up alongside an aircraft with the current Chatham Dockyard design. The painstaking process of arranging them for the photo took over two (careful) hours. 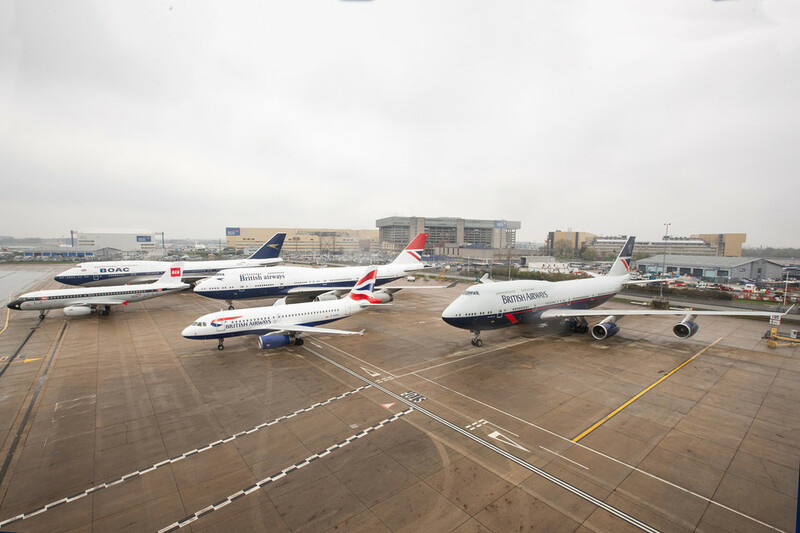 The retro designs are part of a special series to mark British Airways’ centenary, as the airline celebrates its past while looking to the future and can be followed using tracking website Flightradar24, which features special images of the aircraft. In this, its centenary year, British Airways is hosting a range of activities and events. 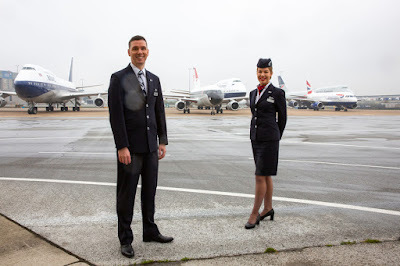 As well as looking back, the airline is also hosting BA 2119 - a programme, which will lead the debate on the future of flying and explore the future of sustainable aviation fuels, the aviation careers of the future and the customer experience of the future. The centenary activity is taking place alongside the airline’s current five-year £6.5bn investment for customers. This includes the installation of the best quality WiFi and power in every seat, fitting 128 long-haul aircraft with new interiors and taking delivery of 72 new aircraft. The airline has also revealed a brand-new business class seat with direct aisle access, the Club Suite, which will debut on the Airbus A350 later this year.